New Industrial Tribal Spike Biker Skull Necklace. The necklace is about 16.5 inches. 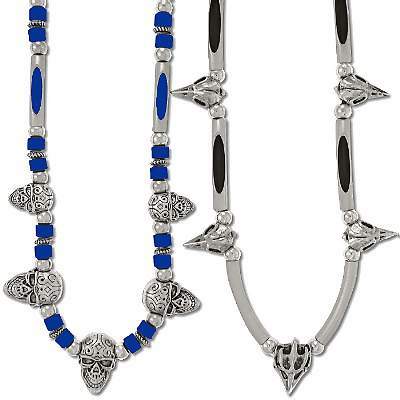 The necklace is intermixed with silvertone spacers, tubes with black, brown or blue accents and metal biker skulls. All measurements are approximate.